Abstract: This article treats the phenomenon of clairvoyance, the ability to know the thoughts of others that set holy men apart from ordinary human beings who had to make inferences from a person’s outward appearance. 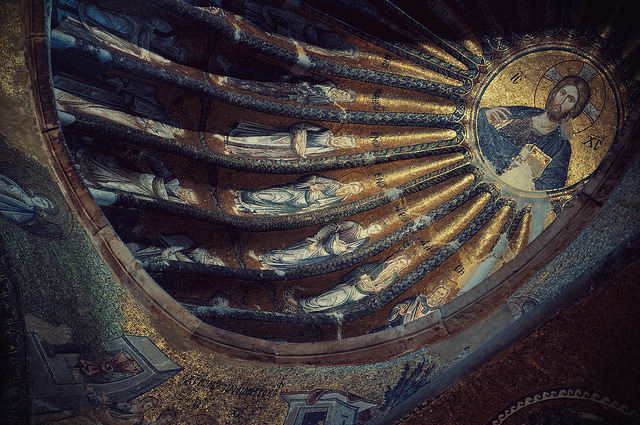 After a discussion of the various theories that Late Antique authors put forward in order to account for this phenomenon, it focuses on opposition to clairvoyance in seventh- to eleventh-century Byzantium. It identifies texts in which such opposition is expressed and seeks to explain why their authors took this stance. Introduction: In Late Antique hagiographical and spiritual literature there is widespread agreement that perfect Christians can know the thoughts of others. However, the explanations for this phenomenon differ greatly from each other. Some authors argue that human beings can acquire the ability to read thoughts by purifying themselves from passions whereas others declare that the requisite knowledge is imparted to them by the Holy Spirit, either on an ad-hoc basis or through permanent indwelling. Yet others envisage that saints draw inferences from outward signs, just like ordinary human beings do, but that divine assistance prevents them from coming to the wrong conclusions. Finally we find the curious theory that saints can see the ‘true’ bodies of others, which are an exact expression of the states of the invisible souls and thus cannot be misinterpreted. During the fourth, fifth and sixth centuries these views existed side by side and although there were disagreements there is little sense of sustained debate, let alone polemic. This situation, however, changed in the late sixth century. At that point the presbyter Timothy of Antioch and the anonymous author of a collection of Questions and Answers insisted that human beings can only ever read outward signs, and thereby implicitly ruled out any supernatural element. This point of view elicited indignant responses from others who defended the existence of such an element through recourse to the traditional concepts of purification and revelation. The next stage of the development took place in early ninth-century Constantinople and Bithynia. At that time the monks Theodore of Stoudios and Theosterictus of Medikion declared that saintly confessors rely on the interpretation of outward signs whereas the hagiographers of Peter of Atroa and Joannicius took it for granted that their heroes were mind-readers. The discussion ends with a text from the early eleventh century, the Life of Athanasius the Athonite by Athanasius of Panagios, where the notion that God shares his knowledge of human souls with holy men is rejected outright. The present article analyses the evidence and tries to explain why the various authors held their different views.